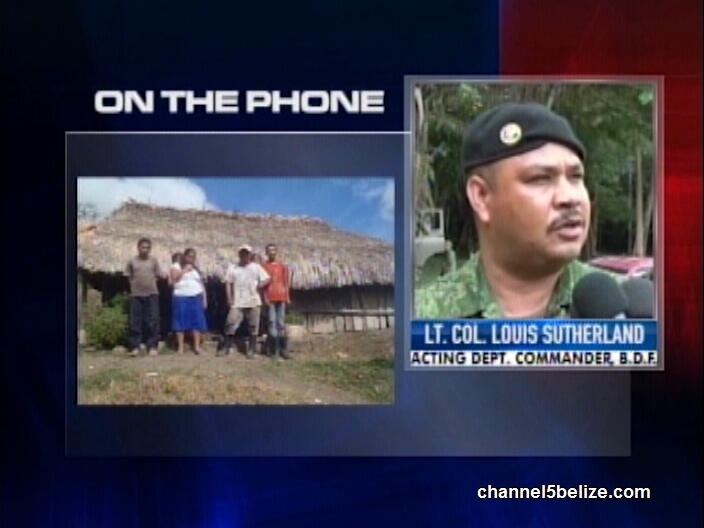 There is another illegal Guatemalan settlement in Belizean territory near the border between the countries. That news came via release from the Ministry of National Security in the wake of a month-long operation in the area of Valentin Camp. According to the release, the settlement consisting of twenty Guatemalans was found in the area of Retiro by a joint patrol consisting of B.D.F., Police, FCD, Forestry and Human Development personnel. B.D.F. Acting Deputy Commander Louis Sutherland told News Five about the operation which included the destruction of marijuana and other illegal farming. 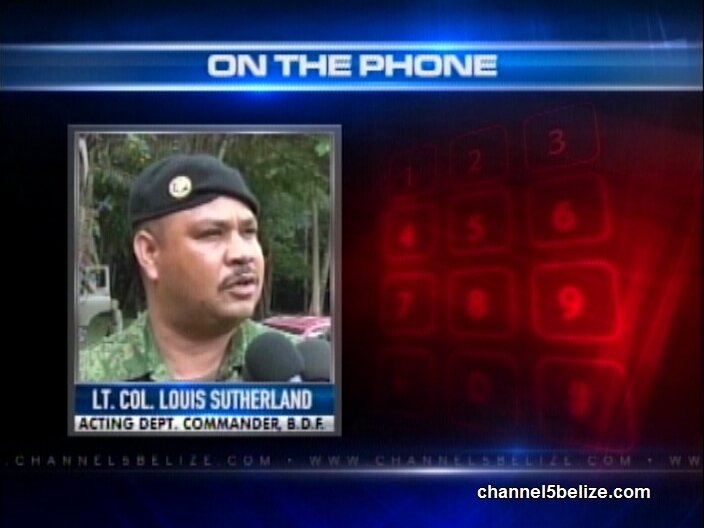 Lt. Col. Louis Sutherland, Acting Deputy Commander, B.D.F. nice job keep patrolling until they get the sense of it. 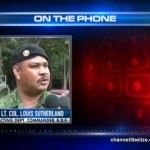 So that means that the 3 thousand patrol on foot by the guats ain’t doing their jobs. Lets show them where our yard is and it’s a Belizean territory. All of this should be posted on national security face book as the guats do to show what is going on. Yes yes can someone please do that? Post it on national security facebook? Angelina Urbina Tied for Top Scorer in P.S.E. Kenly Young from St. Andrew’s Shines in P.S.E.